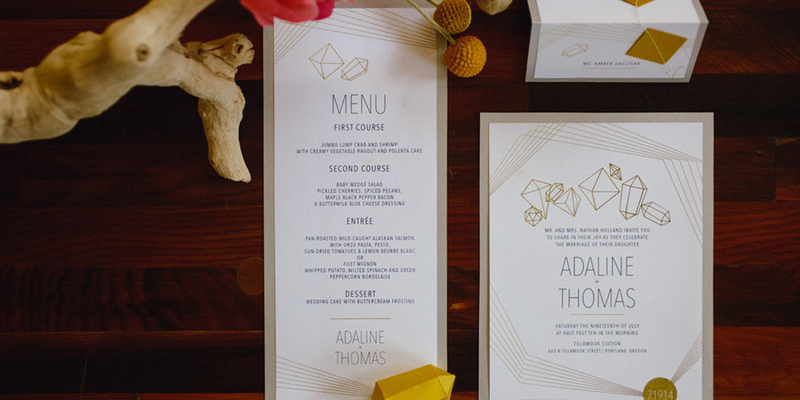 The suite was intended to be printed DIY on stark white paper and mounted to silver metallic card stock. 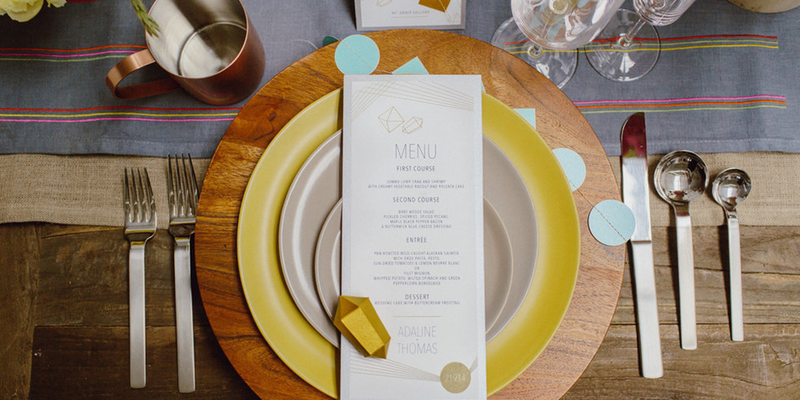 Gold metallic paper was used as an accent, creating a clean modern look. To add a pop of color we used metallic blue and pink paper for the large gems and garland. 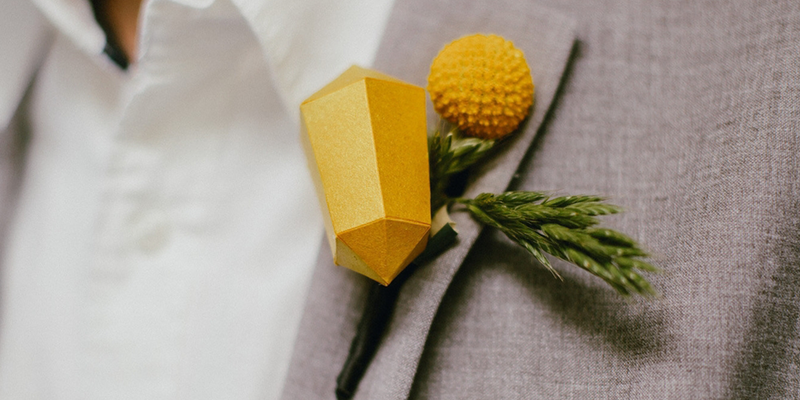 We created a DIY boutonniere with the help of Jordan Gladow of Blum Floral and Design and Catalina Jean Photography. Download the gem here. Event graphics, invitation, menu card design, table card design, and decorations. Download the paperpcraft gem here. 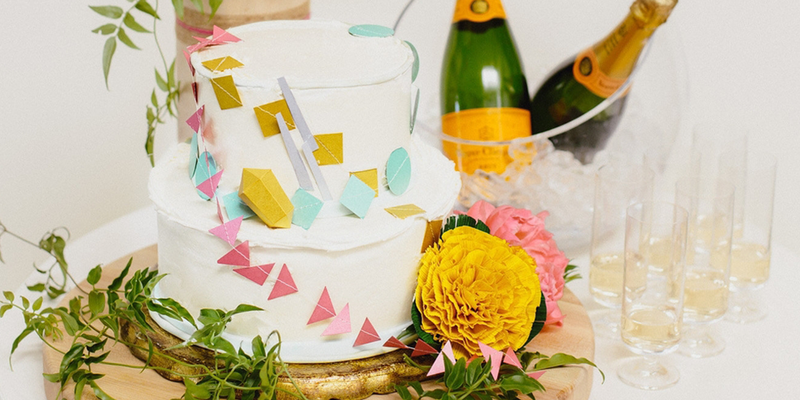 A modern and trendy look for the DIY bride.